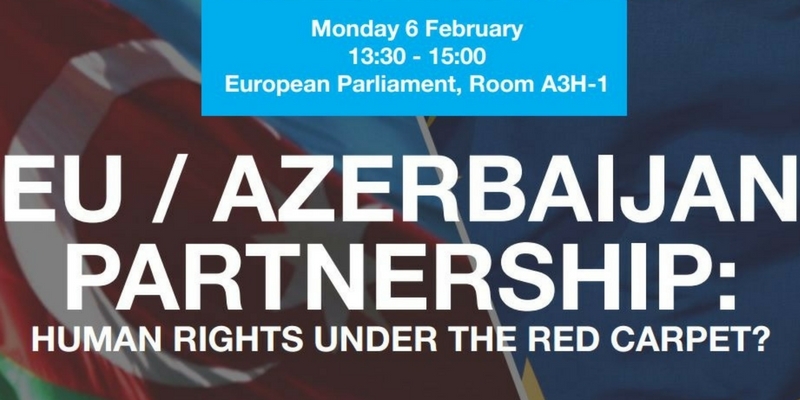 EU / Azerbaijan Partnership: Human Rights Under the Red Carpet? In context of the visit of Azerbaijan President Ilham to Brussels, the panel highlighted the continued human rights violations in Azerbaijan, including the detention of activists and journalists, and the severe restrictions imposed civil society organisations and their access to funding. The speakers addressed the crucial role of the EU in insisting on clear human rights improvements in Azerbaijan needed before negotiating a partnership agreement with Azerbaijan’s government.